Today I have a great guest post to share with you from Candace Cornelius of Breathe Belief blog. There has never been a greater time to learn and homeschool our children. More and more parents all over the world are deciding to take on this amazing lifestyle. Since my husband and I began homeschooling our children, we have discovered that larger communities recognize homeschoolers and put on several family learning events. 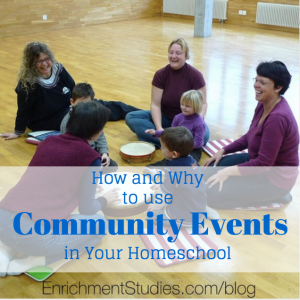 These exciting events have been a powerful way to supplement our homeschooling efforts. * A live interactive physics show put on by the local university. * A professional orchestra’s free family events. Children were able to try instruments, do hands on activities and listen to live musicians perform musical numbers designed just for children. * Nature center classes offered exclusively to homeschoolers. These have been held during the day to fit homeschooler’s schedules. * The local science museum has various classes, experiences and contests for children. * A state wide science fair just for homeschoolers. * Performances at The Children’s Theater. * And several free and educational library events. By participating in these community events, your children gain an incredible amount! 1. They get to truly experience the real world. They don’t need to be stuck in a class room all day! Isn’t this one of the greatest benefits of homeschooling?! 3. They get to learn from real, hands-on experiences rather than lectures and work books. 4. They gain exposure to new teachers, mentors, and ideas. 5. They get to have FUN! 1. Join homeschooling Facebook groups. Facebook houses hundreds of groups of exclusively homeschoolers. Many of these groups are divided by geographical area. Try searching, “Chicago area homeschoolers. In these groups, parents are always posting about fun happenings in their area and inviting other homeschoolers to go along with them. 2. A simple internet search: Google “family events” in your area. Many organizations are advertising their events online. 3. Attend local homeschool conferences. Many organizations and business attend these conferences to promote their events and services geared towards homeschoolers. 4. Check community board postings at libraries and community centers. 5. Sign up for city newsletters. Many even have e-newsletters to promote upcoming events. Today, I strongly encourage you to go out and find fun events to attend with your children. It can greatly enrich your homeschooling and help to fuel the love of learning in your children. What have been your favorite community events to attend with your children? Candace Cornelius is a wife and mother to three daughters. She writes about homeschooling at Breathebelief.com and records a daily 5 minutes podcast to let homeschool mom’s wake up with uplifting messages designed just for them. 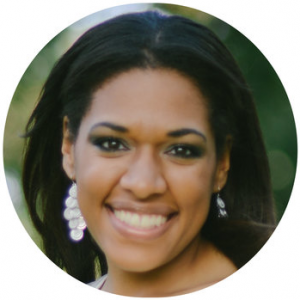 She is passionate about empowering homeschool moms, education, business, self-improvement, family, and following Christ. She loves board games, baby snuggles and fresh flowers.